Bean Growers Australia is one of the major pulse processors in Australia. We've been supplying Australian and overseas customers with high quality beans, pulses and legumes since 1964. 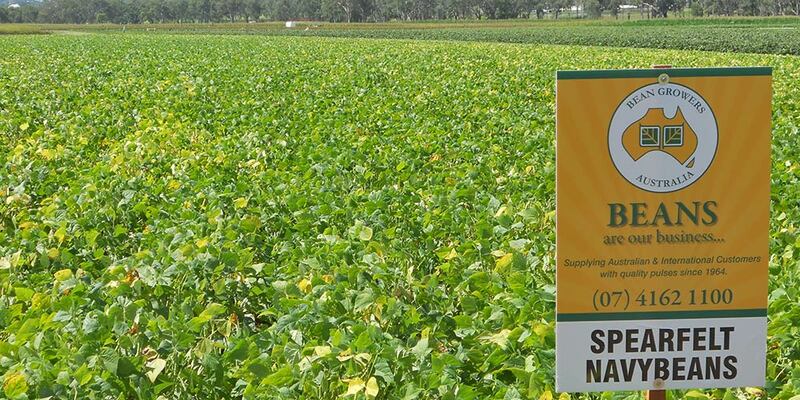 Bean Growers Australia prides itself on handling the following pulse, bean & legume crops: soybeans, adzuki beans, navy beans, mungbeans, chickpeas, black eye beans and field peas. Additionally, we are also a major supplier of linseed and popcorn to food companies around Australia. + Learn more about us. Bean Growers Australia has a commitment to quality assurance at all stages of the production cycle - from the intake of raw farm produce through to supplying food processors. It is this commitment to the production of top quality, food grade agricultural products that ensures Bean Growers Australia’s prominence in the 21st Century. "To be acknowledged globally as a premium processor and marketer of Pulses and specialty grains focused on domestic and export markets"
Bean Growers Australia has now achieved 20 years of continuous quality certification. We are HACCP Certified and conform to ISO 9001:2015. We are also a Registered Export Establishment (1185). We are the Platinum Sponsor of the ISGA convention in Sydney this year. Click Here for more information.